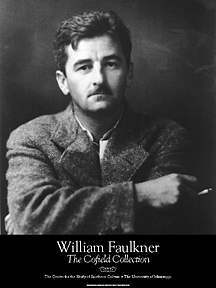 Following the success of Sanctuary, Faulkner needed some publicity photos to give to the press. Though he hated the idea, he submitted to a series of portraits at "Colonel" J.R. Cofield's studio in Oxford. Over the years, Cofield would continue to take a number of photographs of Faulkner and would also collect photographs by others of Faulkner, which he would display in his studio. His work and collection today comprises the Cofield Collection, a part of the Southern Media Archive maintained by the Department of Archives and Special Collections department at the University of Mississippi Libraries. This page has been accessed 2855 times. About this page counter.